Founded by some of the most prestigious sculptors in Canadian art history, the Sculptors Society of Canada has been exhibiting and raising the profile of sculpture in Canada for more than 85 years. 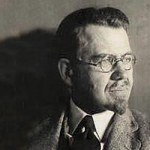 The SSC was formed in 1928 by Emanuel Hahn, Frances Loring, Henri Hébert. By bonding together they were able to focus on the development of sculpture while raising the profile of Canadian sculpture locally and internationally. Through the Society and the support of fellow sculptors, works of the membership captured the interest of galleries, art festivals, and museums, including The National Gallery of Canada, The Toronto Art Gallery (now the Art Gallery of Ontario), and the International Biennale of Sculpture in Ravenna, Italy. In subsequent years, the SSC organized numerous exhibitions including a 50th anniversary exhibition that toured throughout Europe, a 65th anniversary tour of the SSC Collection to the USA, and in its 85th year, works representing Canada were invited to participate in the premiere Beijing International Biennale in 2003. SSC activities have increased steadily ensuing many outreach programs. The Canadian Sculpture Centre, site of SSC’s administrative headquarters and gallery is located at 500 Church Street, in downtown Toronto. The organization hosts exhibitions, professional development workshops, studio and gallery tours, (sculpture) walking tours, artist talks, guest lectures and hosts international sculpture tours. The gallery showcases members’ works on a rotating monthly basis. Additionally the SSC sponsors curated and juried annual exhibitions of emerging sculptors and graduating sculpture students from across Ontario and Canada. The Canadian Sculpture Centre also houses members’ portfolios which serve as a reference tool for SSC members, the public, art consultants and potential collectors and patrons. Born in Wurtenburg, Germany. Migrated to Canada in 1888. 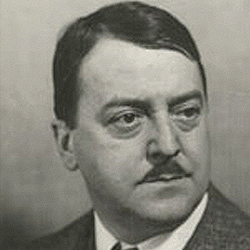 Founding member and first president of SSC 1928-1935. Hahn became Head of Sculpture Dept. at Ontario College of Art in 1922. Works include: Ted Hanlan Memorial, Toronto (1926); Sir Adam Beck Memorial, Toronto (1929); Designs for Canadian stamps and coins (still in use). 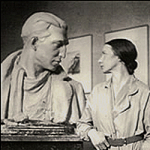 He met with Loring and Hébert in Montreal to form the Sculptors Society of Canada in 1928. Born in Montreal. Son of noted sculptor, Louis-Philippe Hébert, Henri studied at the Monument national de Montréal under painter Edmond Dyonnet and at the Art Association with William Brymner, as well as studying under Thomas and Injalbert in Paris. He also taught at McGill University while sculpting more than 20 monuments including: Louis-Hippolyte Lafontaine, Montréal & Québec City; Évangeline, Grand Pré, NS; and in collaboration with his father, the Monument aux Morts, Montréal, and Jacques de Lesseps, Gaspé, QC. Born in Idaho. Studied at Art Institute of Chicago. Migrated to Toronto with sculptor Florence Wyle in 1912. Her works include: stone carvings for Rainbow Bridge Plaza, Niagara Falls; Sir Robert Borden, Parliament Hill(1954); War Memorial (1919), St. Stephen NB; Sir Frederick Banting (1935). Her six foot stone work Eskimo Mother & Child is in the National Gallery of Canada’s collection. Over 180 works by Loring and Wyle were donated to Art Gallery of Ontario in 1983. Born in Illinois. 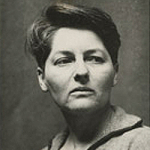 Met Frances Loring while studying at Art Institute of Chicago in 1905. She excelled in anatomy. Sharing a studio with Loring, Wyle also contributed to Loring’s QEW portrait monument of King George and Queen Elizabeth. Her bronze portraits of the Group of Seven is in the collection of the National Gallery of Canada. Loring and Wyle Parkette at St. Clair Ave. & Mt. Pleasant Rd. in Toronto near their schoolhouse studio also feature works by both. Born in Orillia ON. 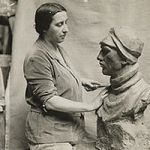 She was an outstanding sculpture student at OCA, and married Emanuel Hahn in 1926. She was the SSC president 1935-1937, 1939-1941, and in 1950-1952. Her works include: John Graves Simcoe Monument (1934), Niagara-on-the-Lake; Welland-Crowland War Memorial (1939), Welland; King George Memorial, Niagara Falls; and relief sculptures for the Bank of Montreal, Toronto. Her work is included in the Art Gallery of Ontario and National Gallery of Canada collections.